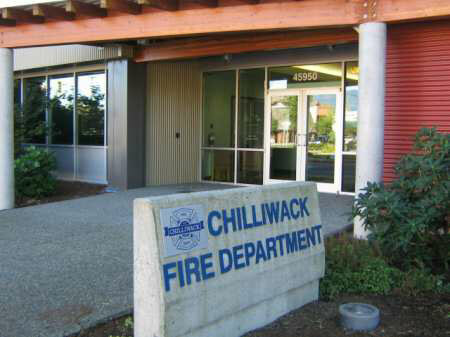 Chilliwack – Early Thursday morning (@ 4:15AM, April 11) Chilliwack Fire was dispatched to a structure fire located in the 6900 block of Chadsey Road. A passerby noticed black smoke coming from the rear of a barn structure on the property. Firefighters responded from Halls 1, 4 & 6. Upon arrival a single storey barn used as a storage shed for a greenhouse company, was fully involved. Firefighters quickly went to a defensive attack and stop the fire from damaging other buildings on site. The barn sustained major fire damage and will need to be replaced. No one was hurt, the cause of the fire appears to be accidental and is still under investigation by Chilliwack Fire. Be the first to comment on "Chilliwack Fire – Barn Blaze On Chadsey Road"